“On the internet, no one knows you’re a dog” — that’s the classic New Yorker cartoon, showing 2 canines at a computer. No one knows you’re a high school junior, either. Not that anyone should care. Staples’ Dylan Diamond designs user-friendly apps that fill folks’ needs. Dylan Diamond, at San Francisco’s Fort Mason earlier this month. His myHAC allows students and parents nationwide easy access to school schedules and grades. It’s been downloaded 85,000 times. Ski With Friends helps skiers find buddies on the slope. 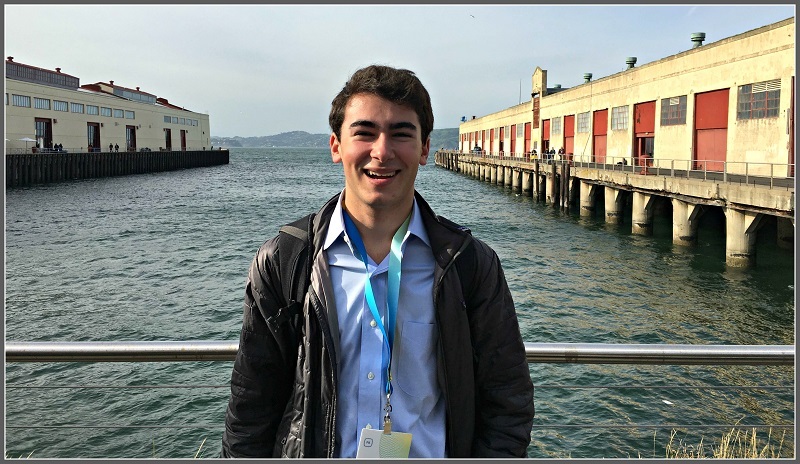 His current project, Saround — with fellow Westporter Adam Goldberg — lets users book anything from babysitters and yardwork to concert tickets, by priority. Next up: an app to expedite food purchases in school cafeterias. So it’s no surprise that Dylan snagged a coveted invitation to Facebook’s F8 conference this month. Or that Facebook covered the entire $800 registration fee too. 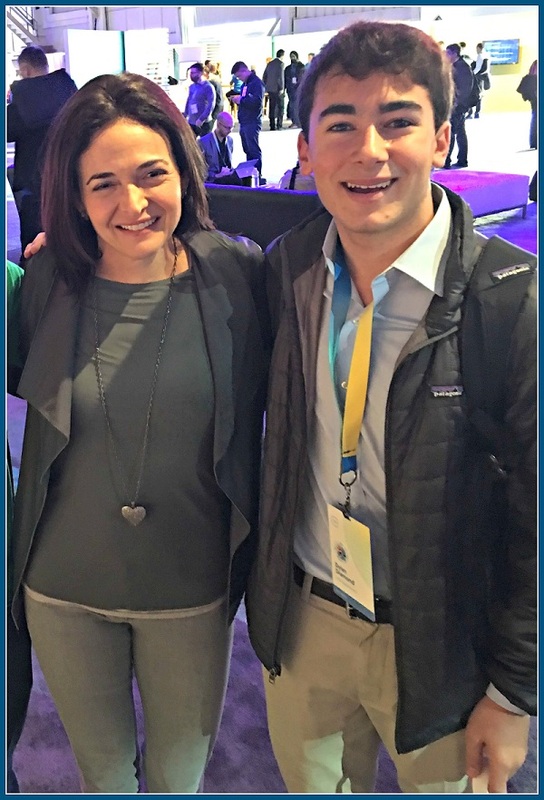 Dylan Diamond, with Facebook COO Sheryl Sandberg. The hands-on, collaborative event — held at San Francisco’s Fort Mason — is huge. It draws developers and entrepreneurs from around the globe. Facebook engineers interact with attendees. They share ideas, teach each other, and return to their offices (or schools) ready for the Next Big Thing. Dylan made the most of his time. He saw Sheryl Sandberg, Facebook COO, standing on the conference floor. Dylan walked up, introduced himself, and told her about his apps. Dylan also hung with Mike Schroepfer, the CTO. He sat next to the CEO of Oculus Rift, the biggest name in virtual reality. 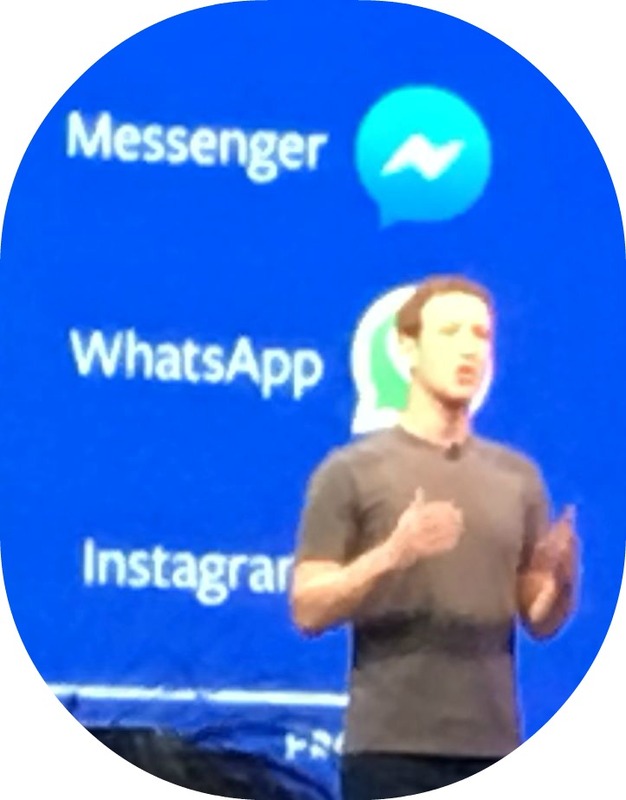 Dylan and those heavy hitters talked about Facebook’s new Messenger bot — unveiled at F8 — as well as analytics. He got advice on startups. Attendees examined his code, and answered his questions about how to do more, be more efficient, and design better tools. Dylan Diamond was up close for Mark Zuckerberg’s keynote address. Mark Zuckerberg was there too, of course. His keynote address was one highlight. Even better: His announcement that everyone at F8 would received a free Oculus headset. There were a couple dozen high school students at F8, like Dylan. They become good friends. After the conference, he and 2 others drove to Cupertino, to check out Uber and Apple headquarters. Dylan does more than develop apps, of course. He handles the school paper Inklings’ website. He’s also on the ski and cross country team. 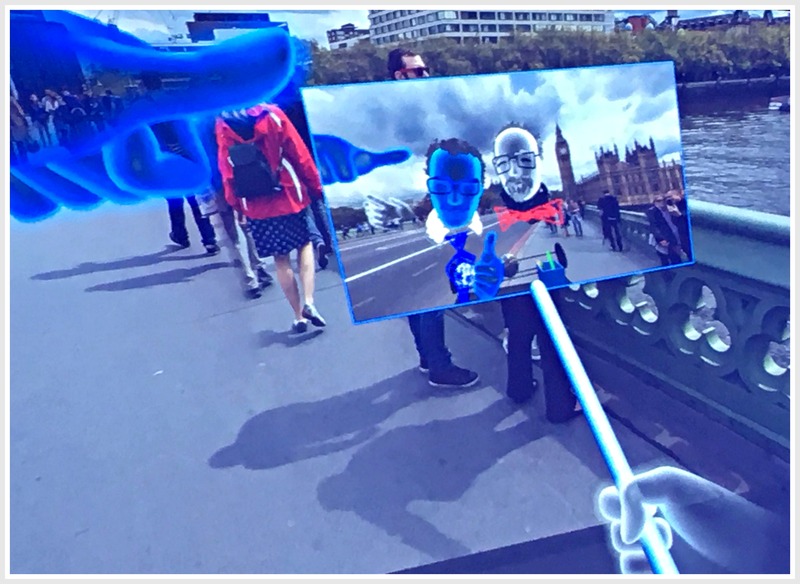 That last activity came in handy at F8. A long line of attendees waited to get into the building to hear Zuckerberg. Dylan outraced the others, and had one of the best seats in the house.